We approached an international law firm with the proposal of hosting an intimate networking dinner for their staff and clients. 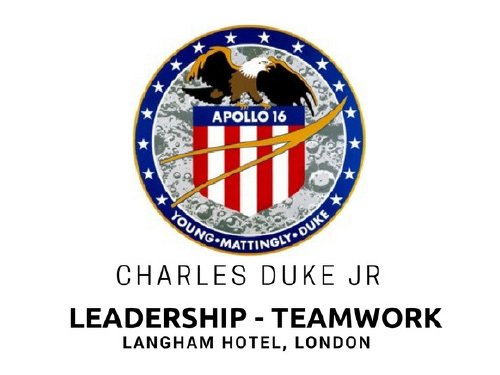 Attended by 40 guests, we selected the beautiful Langham Hotel in London and offered the attendees the chance to privately dine with Apollo 16 astronaut Charles Duke Jr. His inspiring 30 minute presentation was followed by a Q&A session. Guests had the chance to enjoy world class cuisine and freely network with their clients in a relaxed atmosphere.